If you’re down with cheesy, gooey, comforty goodness this ones for you. Adult devoured and kid approved around here. I like this recipe because of its simplicity…there are very few ingredients and it requires very little work. The sauce and veggies cook together which makes clean up a breeze and the ham is precooked which saves crazy amounts of time. And an extra thumbs up in my book because theres no cream of anything soup and no flour for thickening. 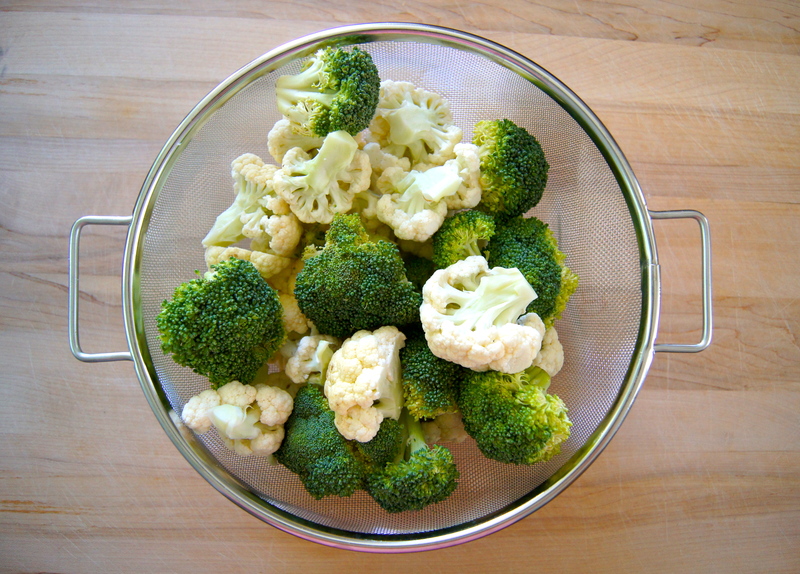 A wonderful dish to ring in the cool fall days ahead…was that the fastest summer ever, by the way? Ill take fall any day of the week…bring. it. on. apples…pumpkins…stews…gratins…oh my!! Preheat the oven to 375 and butter a 9×13 baking dish. 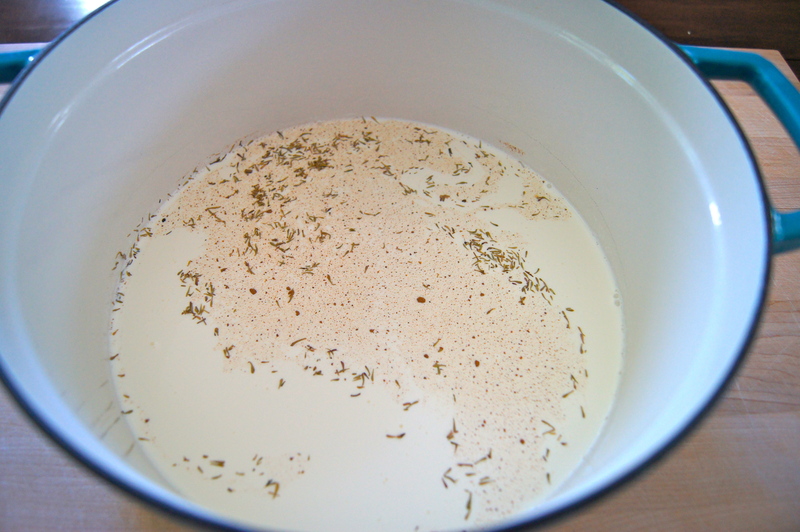 Add the cream, thyme, salt, nutmeg, pepper and garlic to a large pot or dutch oven and bring to a light boil over medium heat. 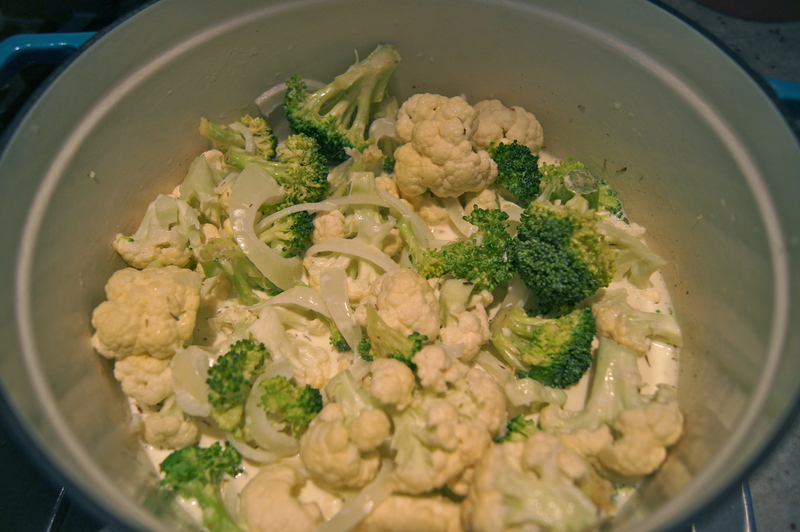 Add the onion and broccoli/cauliflower and stir. Simmer, over medium heat for 5 minutes, stirring often. 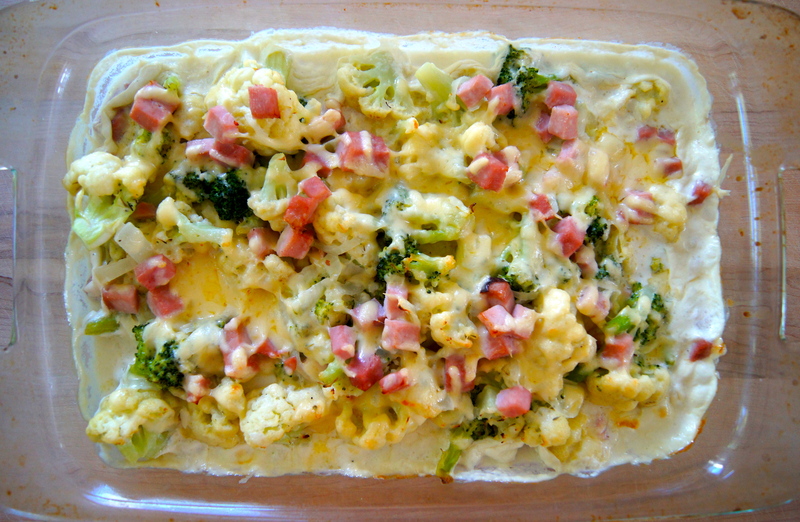 Add half of the broccoli/cauliflower cream mixture to the bottom of your 9×13 baking dish. Sprinkle on half of the ham and half of the cheese. 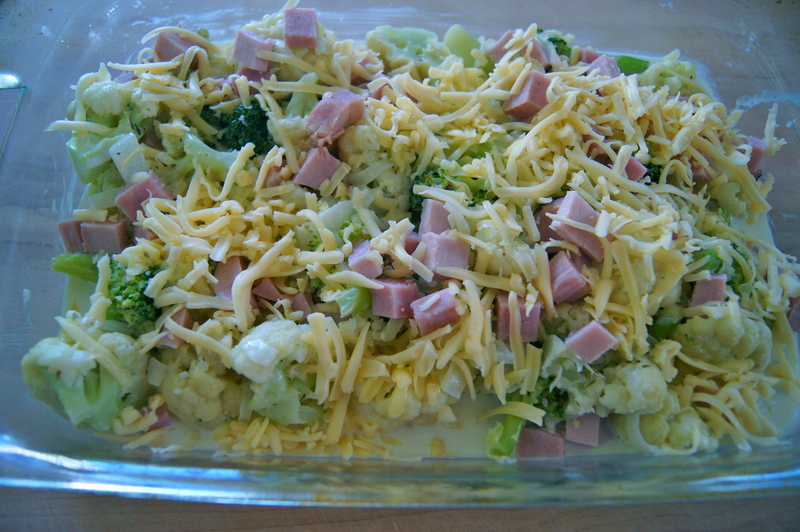 Add the rest of the broccoli/cauliflower cream mixture and top with remaining ham and cheese. Cover tightly with foil and bake for 15 minutes. Remove the foil and bake for 15 minutes longer. Serves 4 as a main course.